Eschewing the pleas from a majority of students, parents and teachers for gun control and in his continuation of aligning himself instead with the NRA, Donald Trump has announced a new plan to pardon felons convicted of murder and install them as teachers in every public school in America. “More guns in schools will make schools safer just as more termites in a house make a house stronger and more collusion with Russia makes people more American,” Trump oddly stated into a flower pot given to him by Russian Ambassador Sergey Kislyak. 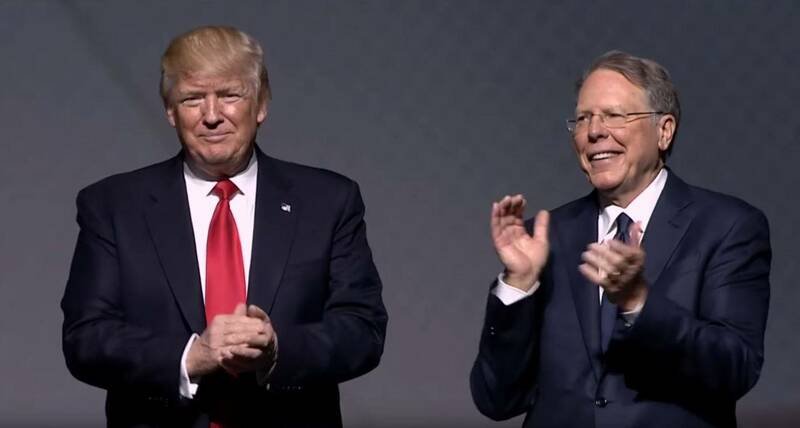 Trump’s new plan is actually based on an NRA proposal to make convicted murderers teachers and permit them to simultaneously be Sales Associates for gun manufacturers on school campuses. Gun industry executives explain that this will create safer schools and a “pro-capitalist cycle of commerce” that will be good for business in the gun industry, hospitals and the mortuary industry whose increased profits will trickle down to an increasing number of people who survive gun violence. LaPierre then used both hands to try and mold his face like it was clay, in a futile effort to show a look of concern.